Tell us more about Diversified Technologies. Diversified Technologies is a software development company that specializes in sports health and injury research and prevention. Diversified Technologies has developed and launched a worldwide injury registry product called Simtrak™ Envision, a one-stop resource for comprehensive sports medicine documentation and international injury research. 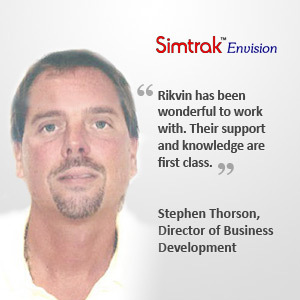 For more information about our flagship product, please visit www.simtrakenvision.com. We have placed our servers in Singapore to take advantage of the city-state’s outstanding infocommunications infrastructure. We also intend to base our future development and support teams here. Through Simtrak™ Envision Diversified Technologies aims to build the world’s first and only sports injury research database across all sports at all levels in multiple languages. Rikvin has been wonderful to work with. Their support and knowledge are first class. I would not have been able to successfully secure my employment pass application without their guidance and assistance.